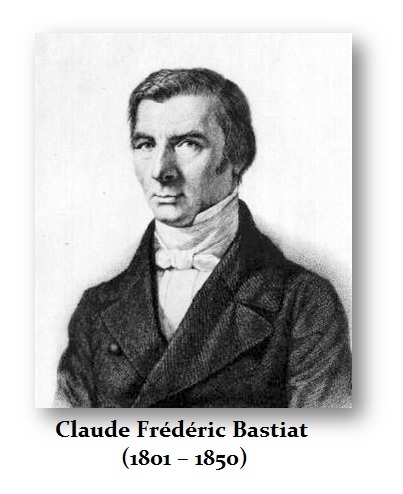 Claude Frédéric Bastiat (b. 1801-1850) was a French, classical liberal theorist, political economist, Freemason, and member of the French National Assembly whose fundamental ideas have provided a foundation for libertarianism. In economics, Bastiat is remembered for his concept of opportunity cost and for introducing the parable of the broken window or the “glazier’s fallacy.” Essentially, a boy breaks a pane of glass in a shopkeeper’s store. The owner gets angry for it will cost him six francs. The argument is that this is good for the economy, for now the glazier profits by installing a new pane of glass, thereby increasing the flow of money within the system. Thus, the linear conclusion is to go around and break all the windows in town to stimulate the economy. But what if the glazier paid the boy to go break windows in town? Then it becomes fraud. Bastiat argued that there was an opportunity cost that was not being viewed. The six francs the shopkeeper must spend on the pane of glass may have been spent in a completely different sector to stimulate that part of the economy. Some have taken the “glazier’s fallacy” and applied it to war. Granted, war is seen as good for the economy for it reduces unemployment (and population) and compels defense spending. The Invisible Hand entered and compelled developments in weaponry, such as the creation of nuclear weapons. True, nuclear blasts ended the war in the Pacific. However, it is also true that further development led to nuclear energy for power. 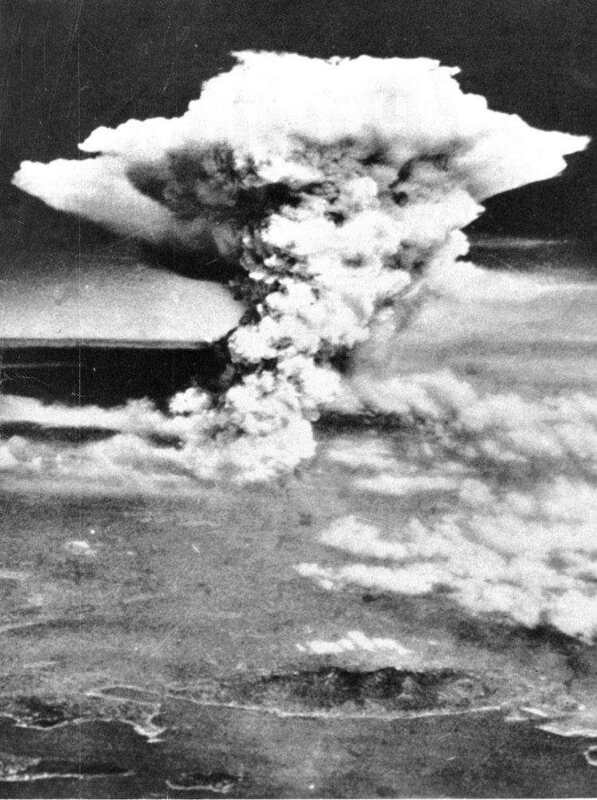 The opportunity cost cannot be determined so easily because the question of nuclear energy could have taken perhaps 10 to 20 more years to develop, yet it would have been possible to do so without war. Bastiat proposition of the “glazier’s fallacy” showed that we could create all sorts of innovation, reduce population excess, and create full employment by just going to war with everyone, everywhere, just like the glazier who hires the boy to break all the windows in town. Does this really produce economic stimulus or is it merely diverting resources and destroying opportunity in other areas? Governments create public works as their first move to stimulate the economy, but that is the mirror image of destroying everything. Fine, we can create bridges and roads few people travel on, but this comes at the price of diverting resources that would have created better economic stimulus through other, more permanent economic areas. Once the building, bridge, or road is finished, the workers have no permanent job. Such stimulation rarely stimulates the economy. 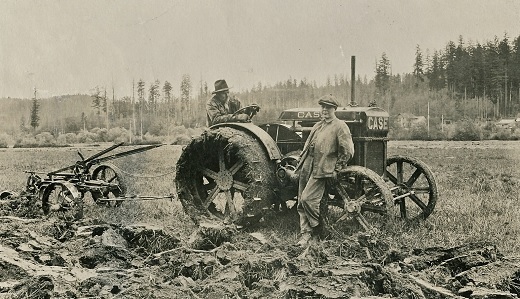 Roosevelt’s WPA worked, not for stimulation reasons, but because there was a shift in employment with the combustion engine displacing people from jobs in agriculture. Moving from horses to tractors in 1925 set in motion a major decline in employment, which the dust bowl took to a whole new level. What will technology shifts do today? Unemployment is rising in the lower job markets where robots can replace such tasks. With robots, there are no pensions, health benefits, or people like Hillary yelling to raise the minimum wage to $15, which would only hasten the shift by raising unemployment sharply. 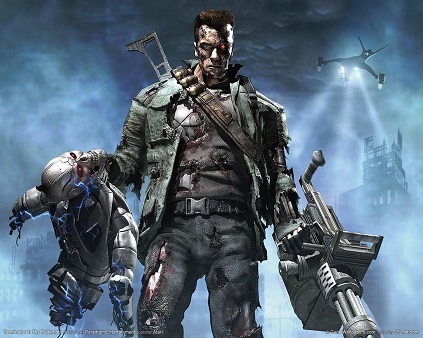 As for war, government is already working hard to replace soldiers with robots. The danger of this advancement to robots is that governments will use them as police and they need not worry about the loyalty of the troops. Revolution typically unfolds when the military turns against their master. The best way to prevent that is to eliminate humanity in the police force. Bastiat’s “glazier’s fallacy” is still relevant today. The reason why is rather simple. We live and function according to a bell curve. Anything to excess destroys the host. Yes, breaking one pane of glass does not alter the entire economy. However, if the glazier paid the boy to go break all the windows in town, all other segments within the economy would suffer. Everything within reason, yet government is never reasonable.